Winship Cancer Institute psychiatric oncologist Dr. Wendy Baer is available for media interviews about how cancer patients and their caregivers can cope with stress during the holiday season. When you have cancer, finding joy in the season can be a challenge. Here's an exercise that could help. Wendy Baer, MD, a psychiatric oncologist at Winship Cancer Institute of Emory University says: "For people with cancer, the stress at Christmas and Hanukkah is unique, not only because of the physical symptoms that come with cancer and treatment, but also the psychological ones. 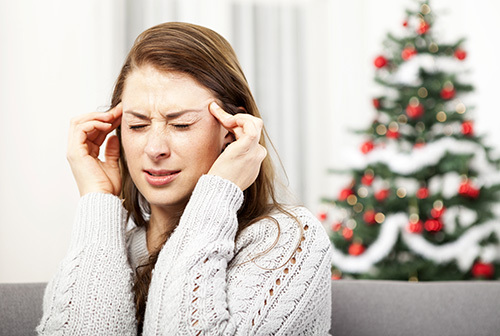 The stress of having cancer during the holidays can commonly develop from unrealistic expectations, such as wanting Christmas to be like it always was or feeling you need to do everything for everyone, or from worry about the future. Creating a holiday wish list is a simple exercise that may help you manage the stress and can also give you a rush of dopamine, a brain chemical that makes you feel good. The process of thinking about what you like, writing about what you want, and taking the steps to make specific wishes a reality now will help." To schedule an interview with Dr. Baer or other Winship Cancer Institute experts, please contact Judy Fortin at judy.fortin@emory.edu or Catherine Williams at catherine.s.williams@emory.edu. Winship experts are available to the general media to speak about hundreds of cancer related topics.